The Community (for human development) is an organism that is part of the Humanist Movement. The Movement first appeared on the 4th of May 1969, with a public presentation by its founder, Silo, known as "the Healing of Suffering", in an outpost in the Andes called Punta de Vacas, close to the border between Argentina and Chile . 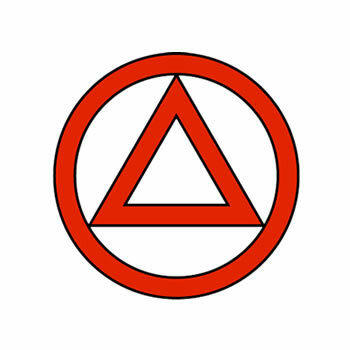 The Humanist Movement is based on the current of thought known as New Humanism, or Universalist Humanism. This current can be found expressed in Silo´s works and in those of the diverse authors who are inspired by it. The humanist attitude , an essential aspect of this new culture, beyond all theoretical proposal, may be understood as a "sensibility", like a stance in front of the human world in which the intention and liberty of others is recognized, and in which a commitment to a non-violent struggle against discrimination and violence is made. • In first place, the location of the human being as the central value and concern, in such a way that nothing is above the human being and no human being is above any other. • In second place, it affirms the equality of all individuals and thus works for the overcoming of the simple formality of equal rights before the law to advance towards a world of equal opportunities for all. • In third place, it recognizes personal and cultural diversity and so affirms the characteristics proper to each people, condemning all discrimination that is done on the basis of economic, racial, ethnic and cultural differences. • In fourth place, it encourages all tendencies that develop knowledge beyond the limitations imposed on thought by prejudices that are accepted as absolute or immutable truths. • It repudiates all forms of violence, understanding not only physical violence as the sole factor, but also economic violence, racial violence, religious violence, moral violence and psychological violence as daily cases and rooted in all regions of the planet. • The rejection of, and a void towards, different forms of discrimination and violence. • Non-collaboration with violent practices. • Denunciation of all acts of violence and discrimination. • Civil disobedience in front of institutionalized violence. • Social and voluntary organization and mobilization in solidarity. • Decisive support to everything which favors active nonviolence. • The overcoming of the roots of violence in oneself, development of personal virtues and the best and most profound human aspirations. A personal and social project that attempts to surpass the present crisis of violence, disorientation and lack of meaning which human beings suffer. This project is synthesized in the ideal of Humanizing the Earth . These guidelines aim to define an organizational model in accordance with the new stage that is starting, driving the growth of The Community in matters of participating members, action in the environment, and geographical and cultural scope. The Community (for human development) is an organization that has a universal character, in this sense its members, independently of the place where they act, feel part of the same humanizing worldwide action that is expressed in a diverse yet convergent manner. Its forms of participation are open and flexible. It is an organization with a human base in which each person takes responsibility for what they initiate and construct. The basic structures and foundations of The Community are those "Community Base Teams" that develop their activities at the level of the neighborhood, groups of friends, schools, universities, city level, in a virtual way, through the internet, etc. The initial groups of TC ( "TC promoting groups" ) are coordinated, in the first instance, by the person who created them and who developed them according to the proposed objectives in the official documents and materials of The Community. 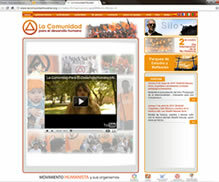 These "promoting groups" are constituted as "Community Base Teams" when they achieve a minimal development (approximately 10 full members), permanence (periodic meetings) and when they elect one of their members through a direct vote to fulfill the functions of team coordination and contact with the "Coordination Team" of The Community in their country or internationally if the former doesn´t exist. As "TC base teams" start to develop so do the needs for coordination with other TC groups who act within the same country. When this happens, this coordination is taken on by a "National Coordination Team". The function of a National Coordination Team is to coordinate joint actions (campaigns, forums, responses to situations in the environment, etc), to coordinate the response to specific situations, to deal with administrative and legal matters (where necessary), to choose a spokesperson and to coordinate relations with the press and other organizations. The National Coordination Teams are composed of a maximum of 12 people and a minimum of 4, elected through a direct vote by full members. International coordination is the responsibility of the "World Coordination Team of The Community", composed of 12 members, elected through a direct vote by full members of The Community around the world, every two years. The composition of the World Coordination Team takes into consideration the representation of ethnic, cultural and regional minorities. The World Coordination Team is responsible for general worldwide coordination and can propose joint actions of different magnitudes and scope. • To attend to the representation and participation of minorities. • Relations with other organizations at an international level. • Admittance of organizations and/or fronts that act at a regional or worldwide level and wish to be incorporated as "supporters" of TC. Any proposal for action that includes the modification of the official materials or important organizational aspects of the organism will be subject to a direct vote by all members. Other levels of coordination, for example city or regions, will be temporarily formed when so needed (joint actions, forums, campaigns, etc), but they will not have a permanent character, unlike National Coordination Teams and the World Coordination Team. Synthesizing this point, the National Coordination Teams and the World Coordination Team are the permanent coordination bodies which are elected through direct vote by full members of "TC Base Teams", while other coordination levels (by city or region) are temporary and respond to situational needs. In the formation of National and World Coordination Teams, there will be no possibility of re-election in consecutive periods. • The Community "Base Teams"
When a group of people meet periodically around The Community´s materials with the aim of organizing training activities and the practice of nonviolence, creating a void to violence, denouncing and not collaborating with it, when it sets in motion non-violent exemplary actions, and when also the participants of that group are concerned with overcoming their own internal violence, then we are in the presence of a primary base organization that we call a "TC promotion group". The personal relations and behavior of the group are based on the Golden Rule: "Treat others as you would like to be treated". There are also TC groups that develop their activities in a virtual way by making use of new technologies through the web and internet. • growth : orientating their action towards other people, towards other networks and organizations with the aim of making their proposals and tools known and implementing them in practice. • communication : maintaining fluid communication and interchange with other base teams and with other organizations with objectives in affinity with TC. • formation : attending to the progressive formation of their members, offering tools for overcoming internal and external violence. These studies and practices are developed in the primary materials. When these " TC promotion groups " reach a minimum development (approximately 10 full members), achieve permanence in their meetings and choose one of their members, through a direct vote, to fulfill the functions of team coordination and contact person with the "National or World Coordination Team", a " TC Base Team " is constituted.(E.g. TC Base Team "Flowers neighborhood", TCBT "Active Nonviolence � Mumbai", etc). These teams of TC may generate links with other groups and organizations in their environment (interchange, joint actions and collaboration), but on no account will they establish an organizational relationship with any of them. • Spokesperson: responsible for presenting The Community in institutional activities, in the press and in all activities or situations where it is necessary to present The Community´s point of view. These functions are elected through a direct vote by members of the respective teams (base, national and international coordination) and they have a 1 year term of office in the case of base teams and two years in the cases of national and world coordination. These functions are exclusively for relating to the environment and are at the service of the whole. They are not for orientation and respond to a mandate with precise guidelines and may be re-elected. Participation is open to anyone, without discrimination. Any person who coincides with the basic objectives of The Community can be integrated into the organization, joining as a full member or as a supporter and thus collaborate with planned activities, participate in meetings of formation and capacity-building, and initiate new actions. Full members : participate in meetings, contribute an annual membership fee, take responsibility for growth and are trained on the basis of the personal works that The Community promote. They are responsible for choosing, through a direct vote, the delegates of their team for the Coordination Teams, and the members of the National and World Coordination Teams. They also instigate the development and formation of new Base Teams without geographical limitations. Supporting members : receive information, participate in activities and collaborate with development. Without loosing their own identity, any action front, group, organization or collective may solicit inclusion as a "supporter" in The Community by expressing their endorsement of the principles on which The Community is inspired and maintaining a relationship of mutual collaboration with it. Ultimately, and in the case of full members or base teams who encourage proposals, actions or procedures that are clearly opposed to the objectives of the organism, The Community may remove recognition as members of TC from those members or base teams. • The Book of the Community (Ed. 2009, updated). • Manual of Personal Development for members of the Humanist Movement. Center of Studies, Punta de Vacas Park, 2009. • The Humanist Document , Silo (1992). • Completed Works, Silo, Vol. I and II . There are also numerous contributions that members of The Community have made in the development of points of view and in application to specific fields; these contributions amplify the recommended bibliography. The Community sustains itself financially through the voluntary contributions of its members. Membership fees are gathered annually from all full members around the world to sustain joint activities. The amount of the fee is defined by the "National Coordination Teams" and related to a percentage of the average national salary of their particular country. The money collected is proportionally distributed between the base teams, the national coordination teams and the world coordination team according to the proportion defined by the World Promotion Team. Occasionally funds may be gathered based on needs that may arise in which full members and supporters of the organism may participate in a voluntary manner. The amounts of these occasional campaigns may never exceed the amount of the annual membership fee. In coherence with an organization with a human base, the funds to sustain it come from its members. According to the degree of development and growth of TC in every country, and with the aim of facilitating the development of the objectives in relationship with its environment, TC teams tend to be legalized as "non-profit-making civil associations" (or however this may be called in different countries) . The statues and articles of association of these "non-profit-making civil associations" will reflect in practice an organization, objectives and principles identical to those proposed in the official organizational materials of The Community at a worldwide level. Internationally, The Community is organized as an "International Federation" which gathers together all TC teams around the world. "The Community for Human Development"
(1) The definition of the implementation details remains the responsibility of this team, such as calendars with dates for economic campaigns and elections, parameters to define the amount of the annual membership fee, distribution by coordination level of these funds, specific functions of the Worldwide Coordination Team, definition of the official logo, etc.